The Four Mile Run restoration project has begun! The City of Alexandria began work this month in the the wetlands area of Four Mile Run Park. Environmental specialists have begun to remove the tree canopy that has grown on the highly degraded artificial fill in the wetland and the non-native forest floor. Soon, work planting will begin using only native low and high marsh wetland plants and the area will be restored as a functioning wetland. The adjacent acres of naturally existing (remnant) forested wetlands within the project area will be preserved. Arlington's portion of the restoration project is out to bid and should get underway later this year. You're invited! 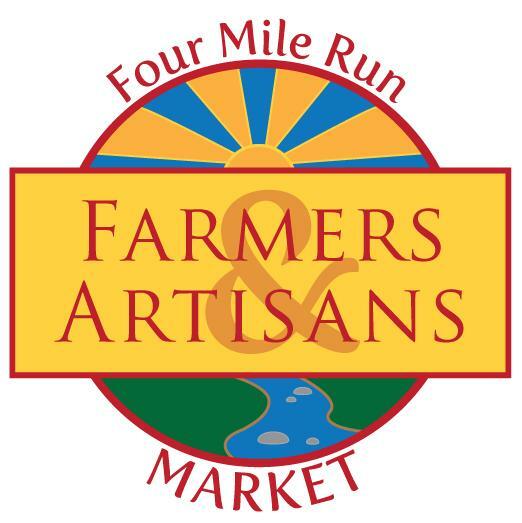 Don't miss the official Four Mile Run Ground Breaking!! 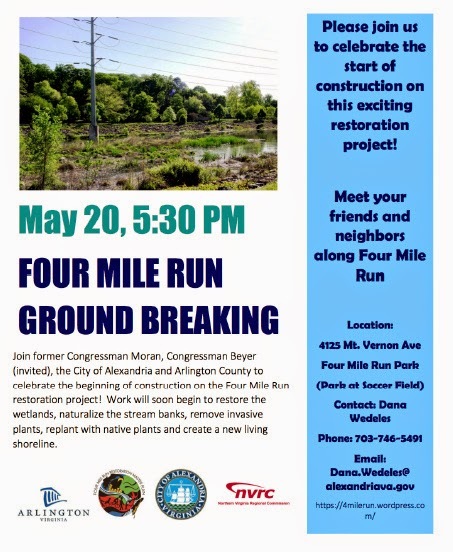 Join former Congressman Moran, Congressman Beyer (invited), the City of Alexandria and Arlington County to celebrate the beginning of construction on the Four Mile Run restoration project! Come see the work that has begun to restore the wetlands, naturalize the stream banks, remove invasive plants, replant with native plants and create a new living shoreline. 4125 Mt. Vernon Ave (parking available at soccer field). It's taken years, maybe decades, to get to this point, but after lots of study and public outreach, tomorrow, Saturday May 16th is the City Council public hearing on the Potomac Yard Metro preferred location. Everyone is welcome to voice their opinion in person tomorrow or submit comments online or via email. If you haven't voiced an opinion yet, this is your chance. City Council's vote following this hearing is next Wednesday, May 20th and that will determine the City preferred alternative. The City of Alexandria will hold a Public Hearing on the Potomac Yard Metrorail Station on Saturday, May 16, at 9:30 a.m. in the Council Chambers located at City Hall, 301 King St. 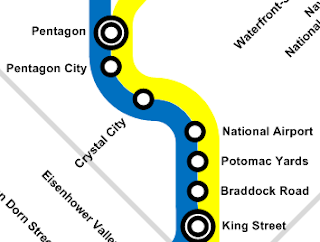 The Public Hearing will include a discussion of the City staff report recommending that City Council select Alternative B as the preferred alternative for the Potomac Yard Metrorail Station, an overview of feedback from the public and other City boards and commissions, and a discussion of next steps in the Environmental Impact Statement (EIS) process. There will be an opportunity for the public to comment on the staff recommendation. All persons wishing to speak before City Council must fill out a speaker's form (which may be found in the rear of the Council Chambers) and present it to the City Clerk. If you have a prepared statement, please present it to the City Clerk. Speakers can submit their written comments to the City Clerk and the speaker’s form is located online. City Council will consider the selection of a locally preferred alternative for the Potomac Yard Metrorail Station at a special meeting to be held on Wednesday, May 20, at 7 p.m. in the Council Chambers, 301 King Street. For more information about this project, please contact Lee Farmer at lee.farmer@alexandriava.gov or visit the City’s Potomac Yard website. Formal comments can be submitted at any time throughout the EIS process to comments@potomacyardmetro.com. Interested in Pedestrian and Bike Safety in Arlandria? Are you interested in bicycling and pedestrian issues in Arlandria? Many folks have expressed that they are. And tonight is a good oppurtunity to talk about them. The City of Alexandria is reformulating its Bike/Ped Master plan and tonight begins the focus on the eastern side of the City. Check it tonight at Cora Kelly. The Ad Hoc Pedestrian and Bicycle Master Plan Advisory Committee will hold its sixth meeting on Thursday, May 14 from 7 to 9 p.m. This meeting will be held at Cora Kelly Center, Multipurpose Room, 25 West Reed Avenue. This meeting will focus on the proposed bicycle network for the east side of Alexandria, project prioritization criteria, and pedestrian case study areas. A walking tour will also be held prior to the meeting, starting at 6 p.m. If you are interested in taking part in the walking tour, please contact Steve Sindiong at the information below. \The update of the Pedestrian and Bicycle Master Plan will include an evaluation of existing conditions, issues, constraints and needs, as well as a review of existing policies, goals and objectives. Pedestrian and bicycle projects will be identified, along with future Capital Bikeshare station locations, and strategies to implement the plan. The role of the Advisory Committee is to provide guidance to City staff on the update to the Pedestrian and Bicycle Master Plan and the development of Complete Streets Design Guidelines. For more information, including meeting materials, visit alexandriava.gov/PedBikePlan or contact Steve Sindiong, Principal Transportation Planner at Steve.Sindiong@alexandriava.gov or 703.746.4047.